Thanks, Bookie - I like this nick better, since you do a lot of reading. Agricola was not far from where my family lived. My dad owned a property there; which he eventually sold to the tenants. Finished reading THE DOGS OF WAR by Frederick Forsyth. This novel, first published in 1974, has antiheroes --- tried, tested, fearless and ruthless mercenaries. Sir James Manson is a British mining tycoon. He got filthy rich by bribing African leaders for mining concessions. Tests on rock samples reveal that the Crystal Mountain in Zangaro, a tiny West African republic, contain $$$billions' worth of platinum, a rare precious metal. Three major players control the world platinum market --- USA, communist Russia and South Africa. Manson wants exclusive right to exploit Crystal Mountain but Zangora's president is a Russian puppet. So Manson hires a band of mercenaries to topple the government and install his own puppet. Will he accomplish his goals? You are welcome. I finished reading "The Whistler" and loved it. It is in the Grisham style and very good...totally enjoyed if. Love Dogs Of War. Read Day Of The Jackal in my teens and started reading him exclusively. Can't put his books down despite their bulk. "Dogs of War" is the third Forsyth novel I've read, after "Day of the Jackal" and "The Afghan". I like Forsyth better than John le Carré. Both are good though. Saw the movie with Christopher Walken. Good movie but in my opinion, "The Wild Geese" is better. Killing Che, Chuck Pfarrer - a fact-based fictional account of the capture and execution of Che Guevara in the Ñancahuazú jungle of Bolivia. A decent novel and good account of life in the poor South American country with an underlying display of the USA's contempt for smaller and less-developed nations. That's the same copy I have. For some reason when I re-read it, there were more details in this book than there were in the one I read as a child back in Guyana. Maybe that was an abridged version for younger readers? It's a very good book. If you like this one, try "The Wild Coast" also by Carew. Black Midas is expensive - $20 on Amazon for a paperback. My wife got me a copy for Christmas and looks like a first edition that came from a library. I'm researching polypropylene bags for some of my collectibles. Thanks GTAngler. 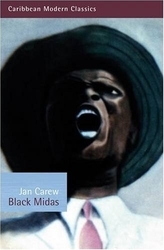 Based on your recommendation I will order - The Wild Coast - Jan Carew. Finished reading "BOOK: My Autobiography" by John Agard. This is an informative children's book published in 2014. It has attractive illustrations by Neil Packer who had also illustrated "One Hundred Years of Solitude" by Gabriel García Márquez. I decided to read this children's book partly because John Agard was my coworker and friend in Guyana in the early 1970s. Since 1977 he has resided in Britain. He is a prolific poet and playwright. In 2012 he won the Queen's Gold Medal in Poetry. In "BOOK: My Autobiography" the narrator is, naturally, a book. It follows the evolution of books from their earliest clay tablet form through papyrus scroll, handheld codex with wood binding, paper book down to eBook format. It discusses such themes as hardcover books with cardboard and leather covers, softcover books including pocket size ones, Gutenberg press, steam-powered press, rotary press, Braille books, libraries etc. I think parents and grandparents would find John Agard's book a worthy gift item. Finished reading THE RED AND THE BLACK by Stendhal. It is set in France around 1830. Born in a peasant family, Julien Sorel can uncommonly write and recite the whole New Testament in Latin. His talent and good looks enable him to become a social climber in a feudal society in transition after Napoleon's exile and the restoration of the monarchy. Julien engages in an affair with a provincial mayor's wife and, afterwards, with an aristocrat's daughter who bears him a son. It all ends in tragedy before Julien's 24th birthday. Today I am beginning a celebrated African American memoir, BLACK BOY by Richard Wright. In honour of Black History Month. 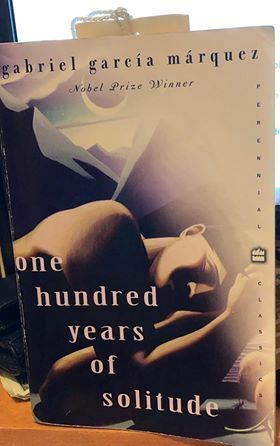 It is a great book, part of the genre called magical realism we see from post colonial writers like Rushdie, Toni Morrison, Arundhati Roy, and Kafka. They are meant to be confusing because they are actually cues for self analysis and questioning of reality, common beliefs and in short every experience. Thanks D2. 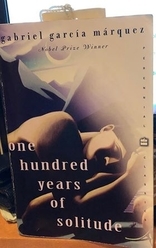 I have few more books to read, before I go back "one hundred years of solitude." Finished reading Richard Wright's memoir BLACK BOY. Wright (1908-1960) was born in Mississippi during the Jim Crow days, a period of racial segregation, discrimination and extreme brutality against African Americans. He spent his youth in the South and then moved northward to Chicago searching for betterment. With only a few years of formal schooling, Wright read extensively and studied independently and became a writer with a social conscience. During the mid-1930s he joined the US Communist Party but quitted in disgust over the party's never ending infighting and internal witch hunting. In 1945 Wright wrote his memoir. The next year he migrated to France and lived there for the rest of his life. 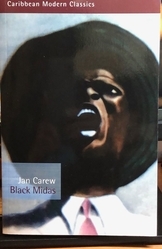 For me BLACK BOY is a riveting read with its firsthand portrayal of grinding poverty and oppression in the American South during the first quarter of the 20th century. Gilbaka, I took your advice ... I am reading - Walk wit ... all ova Guyana _ Helena Martin. I am at p 262. Coincidentally she lived on Stephen's Street in GT ... Hubby was born & lived there also. His family then moved to James Street as Helena. They never crossed path. She refers to The Cathedral of Immaculate Conception as St. Mary's Cathedral. It was called St. Mary's Chapel ... I googled because hubby & I were not familiar with the name St. Mary's ... Hubby was baptized in the present Cathedral. She made her point at the beginning of the book by explaining certain slang or phrases. Never heard that only the EI were beggars in Guyana. Will give more of my opinion when I finish reading the book. Thanks for sharing your impression. It's her memoir and, naturally, it's highly subjective. Not wholly objective. I understand that and have overlooked some inaccuracies. There is a scarcity of memoirs by Portuguese-Guyanese. Helena Martin's book has shown me how some Portuguese of a certain class lived in Guyana. For which I am thankful. Finished reading THE WINTER OF OUR DISCONTENT by US writer John Steinbeck. Published in 1961, it is Steinbeck's last novel. He won the Nobel Prize for Literature the following year. This novel is set in 1960 in New Baytown, modelled after Sag Harbor, on Long Island NY. It is a sort of social commentary on declining morals and ethics in the USA in that election year. Earlier tonight I watched this comprehensive report on the passing last August of one of my favourite writers, VS Naipaul. Excellent. Anta, I bought it in January for $14.95 & it was mailed from England. I used my daughter's - Prime - so no S&H. Finished reading THE PILLARS OF HERCULES by US novelist and travel writer Paul Theroux. For 18 months in 1993-1994 Theroux travelled along the entire shoreline of the Mediterranean Sea. He began his journey from Gibraltar, regarded as one of the pillars of Hercules standing at the narrow Strait that links the Mediterranean Sea to the Atlantic Ocean. He concluded it in the Moroccan city of Ceuta, the other Pillar of Hercules. He passed through the coastlines of Spain, France, Italy, Slovenia, Croatia, Albania, Malta Greece, Turkey, Syria, Israel, Egypt and Tunisia. As well as the islands of Corsica, Sardinia, Sicily and Cyprus. The journey was covered by land and sea, not by air. In this book I followed Theroux's account with the help of Google maps, an effort that rewarded me tremendously. Finished reading THE DISCOVERY OF AMERICA BY THE TURKS by Brazilian writer Jorge Amado. It was written in 1994 but not published in English until 2012. It is set in Brazil in the early years of the last century. Jamil Bichara is a Syrian. Raduan Murad is a Lebanese. Syria and Lebanon are under Ottoman rule so Jamil and Raduan are called Turks. They arrive by ship in the eastern Brazilian state of Bahia, aiming for the conquest of wealth and women. They're in the right place at the right time. The local population is teeming with fornicators, womanizers, prostitutes, heavy drinkers and money grabbers, never mind the daily violence. Besides, virgin bush in southern Bahia is being transformed into an El Dorado promising more wealth from the cultivation and exportation of cacao. Jamil and Raduan waste no time sucking up all the opportunities. This is a picaresque novella; I had much fun reading it. Read two Louis L'Amours - Passing Through and The Trail To Crazy Man. Typical L'Amours. Strong, taciturn hero, takes on the bad guys, saves the girl, gets the girl. Although predictable, great escape literature. My favorite author. I have most of his books including the ones published after his death. if you haven't already, read "Last of the Breed" and "The Walking Drum". Thanks. I read both. A few of my favorite L'Amours are Reilly's Luck, The Man Called Noon, Shalako, The Kilkenny trilogy, Heller With A Gun, and Flint. Gm, I have a lot of his books too. I read Kilkenny not too long ago. Still love his books. True. Every once in a while I'll go to my bookshelf, pick one out and re-read. Although some of his books have been more gripping, he really hasn't written a bad book for me. The one problem I have with Louis L'Amour is all his characters are identical. All the heroes have the same characteristics as well as all his bad guys. Not at all. There are a few that deviate from the norm although some do share the "lone gunman running from past, rides into town, sees girl, likes girl, ends up in range war, gets girl". Flint and Reilly's Luck, two of my favorites are very similar. Then you have ones like "Lonesome Gods", "Haunted Mesa", "The Proving Trail", "Walking Drum", "Last of the Breed" to name a few that have a completely different flavor. I don't mean the plots. I mean the characters themselves. Most of the heroes are broad-shouldered, narrow-waisted men, slow to anger, soft-spoken, slightly smaller than the master villain or one of the major villains who the hero will nevertheless beat in a fist fight, good with a gun. They all fit the typical hero description. Finished reading BEST INDIAN SHORT STORIES, Volume I. This collection contains 27 short stories. I never heard about the writers, except two: Kabir Bedi the movie star, and Mulk Raj Anand, known internationally for his novel "Coolie", that was adapted into a Bollywood movie. The editor of this lovely anthology, Khushwant Singh, who died in 2015 at age 98, was a renowned journalist and author who wrote 90 books. He served as editor of "The Illustrated Weekly of India " and "Hindustan Times". He was a politician and diplomat too. Gil, I've always been intrigued by Kabir Bedi: Bollywood star, Italian soap star, starred in some American tv series and movies, etc. Maybe I'll buy the book. Finished reading "THE OPEN ROAD: The Global Journeys of the Fourteenth Dalai Lama" by Pico Iyer. The author was born in Britain of Indian parents. His father was an Oxford philosopher and friend of the Dalai Lama. Pico became a journalist and travel writer. His articles and reports have appeared in TIME magazine, New Yorker, Los Angeles Times, Financial Times, etc. In 1974, when Pico was 17 years old, his father introduced him to the Dalai Lama in Dharamsala, the Tibetan exile community in north India near Jammu and Kashmir. Through the ensuing decades Pico would develop a close friendship with the Dalai Lama. He returned to Dharamsala often and traveled with the Dalai Lama around the world. "The Open Road" is a memoir of that friendship and those travels, plus a glimpse of the Buddhist leader's message of love, compassion, peace, understanding, etc. The book was published in 2008. Bhai, Gilly kudos to you. Race is a social construct, not a biological one. Finished reading THE BEST BUDDHIST WRITING 2013, edited by Melvin McLeod. This is a collection of 28 thought-provoking articles on themes like meditation, anger management, the virtue of solitude, taming the restless mind, etc. Finished reading "SOLITUDE: In Pursuit of a Singular Life in a Crowded World" by Michael Harris. Solitude is not loneliness or antisocial. It is healthy and refreshing. Solitude frees up the mind and opens it to possibilities we cannot see when the mind is in constant useless chatter. Finished reading "THE LEOPARD" by Giuseppe Tomasi Di Lampedusa, an Italian writer. This novel was published in 1958, the year after its author's death. It is set in Sicily and Italy and begins in 1860. A rebel army led by Italian patriot General Giuseppe Garibaldi liberates the two colonies from French rule and unites them as the Kingdom of Italy. Garibaldi's military officers include the nephew of a Sicilian feudal lord, Prince Salina. The novel focuses on how Garibaldi's "revolution" affects the House of Salina for 50 years. The Prince is based on Lampedusa's own grandfather.